Grand Moff Tarkin is one of the most memorable figures from the Star Wars movies. Despite only appearing in a limited capacity in the first movie, I'm pretty sure most would agree that he made for quite the unforgettable villain. It probably helped significantly that he was portrayed by the one and only Peter Cushing. Star Wars: Tarkin is one of the first of the new novels that follow the new Star Wars canon. With all older titles in the Expanded Universe being treated as "Legends" stories instead, these new novels are fairly critical to setting the tone for the Expanded Universe moving forward. And it's interesting how these early books have decided to focus on these key figures in particular. Tarkin was quite the interesting read and a nice effort to flesh out the life of the man who wielded the power to destroy entire planets. And while I feel bad about how some Expanded Universe story elements were already "destroyed" with the telling of this novel's story, but that's life. The new canon will be pretty interesting though - at least that's the feeling I get from this particular book. 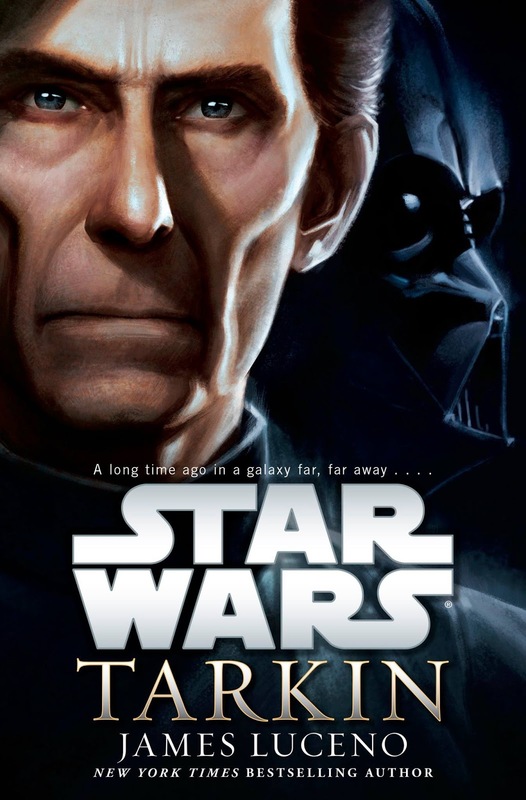 Synopsis: Star Wars: Tarkin is science fiction novel set in the Star Wars universe as written by James Luceno. I received a free copy of this novel through the NetGalley review program in exchange for my honest opinion of the work. The book begins with Governor Wilhuff Tarkin in charge of a secret military installation on Geonosis that was responsible for building a new battle station - the one that would be later known as the Death Star. But the installation is attacked by bold raiders who utilize falsified HoloNet transmissions to disrupt the installation's defenses. Some time after, a cache of HoloNet equipment is discovered in a former Separatist world. Tarkin and Darth Vader are dispatched to determine the nature of this equipment and identify to whom they belonged to. At the same time, the book also goes back further to flashbacks of Tarkin's life as a young man. Thus we see the particular events in his life that shaped him and helped him to become the brilliant yet ruthless military tactician that he becomes later in life. And it's quite the difficult rise given how he begins life on some backwater world and yet manages to capture the attention of one Senator Palpatine of Naboo. James Luceno is quite the established Star Wars author and so there's no question that the book would manage the "right" tone in terms of its writing. It's a solid Star Wars experience through and through. But in terms of the new Expanded Universe reconciling with the old one, there will be those little hiccups that feel just a little off for someone who has been following these adventures for some time now. Thus we now have Geonosis as the site where the Death Star was built instead of the more exotic Maw Installation from the older books. But these are minor trivialities that newer readers won't notice all that much. What was a bit more distinct was how the book also makes sure to tie into existing canon. And this is simple enough in terms of the big movies, it was surprising to see a major effort to tie this together with the recently concluded Clone Wars animated series. A young Tarkin had made an appearance in the cartoon and the book made sure to reference this. In addition, we had quite a number of references to Ahsoka Tano as well. At first this rather weirded me out, but in hindsight it makes a lot of sense and it is rather reassuring that they're making this much of an effort to ties all franchise properties together. Now back to the story itself, I was rather impressed with the tale they crafted for this key figure in the Star Wars lore. The many elements of his youth all tie together to give greater context to why he became the cold, calculating man that we saw in A New Hope. One can respect how he managed to rise through the ranks so quickly and he continued to impress the Emperor time and time again. The book also tried to provide a bit more background to how members of the early Empire reacted to the sudden appearance of Darth Vader. When the Emperor introduces a fearsome warrior with no known background into the ranks, that should cause a bit more of a stir. And Tarkin has his suspicions as to the identity of Vader, which makes sense given his activities during the Clone Wars. And this made for a nice little twist to things. On the whole, Star Wars: Tarkin is a nice little exploration of a great character and an interesting way to establish this new Expanded Universe. The effort to tie in different parts of the franchise beyond the movies such as the cartoons was a nice touch that is growing on me and may help me decide to buy more books in the future. Thus the novel gets a good 4 special features of Tarkin's personal ship out of a possible 5.